Possibly some of my most proud achievements of the Practice so far involve the work we do with children and adults with a learning disability. This group of patients are much more likely to have problems with their eyes but also much more likely to have difficulty accessing the correct service. These patients are also some of the most fun and thought provoking patients we have. It is a great privilege to be to be in a position to help them. There have been so many great stories over the years. It would be impossible to single out one in particular and there is always lots going on. We have worked with a fantastic national charity called Seeability to help provide an innovative eye clinic in SEN schools. Some of this work led us being invited to the House of Lords last year to help publicise the issues involved. In 2014 I complained to NHS about what I saw as an inequality in the regulation regarding the “special facial characteristic voucher.” This involves a lot of NHS politics (that would bore pretty much everyone in a quick post!) It led to lots of emails, phonecalls, an online petition and a lot of arguing. In April 2016 that NHS regulation was amended. The inequality was corrected. This NHS regulation change is not exactly a gripping story. I have included it because even if the Practice closed tomorrow forever this NHS change in regulation would still exist. 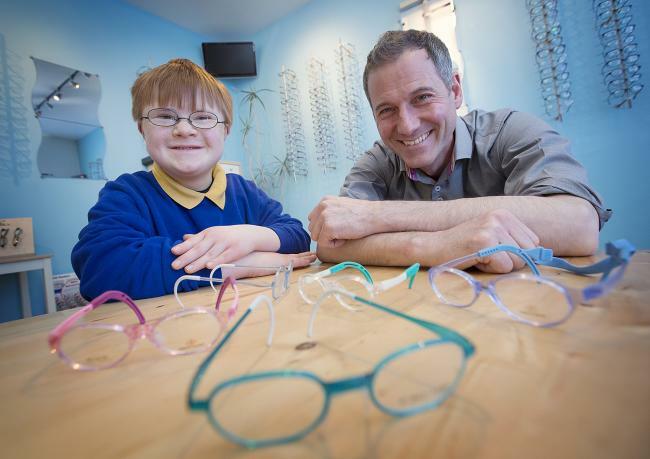 It will hopefully mean that a lot of children in the UK can access the eye care they need. And who would have thought that possible from a small independent Opticians Practice in Gilesgate. This entry was posted in Uncategorized on July 12, 2017 by Simon Berry.